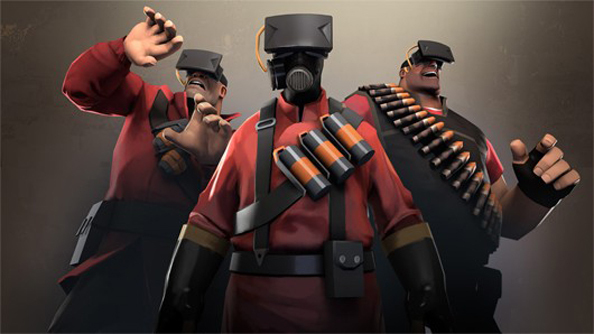 Valve are set to unveil a software development kit for virtual reality headsets at their Steam Dev Days next week. We knew that the developer was going to speak specifically about VR headsets and we’ve seen changes to Steam that suggest the company was spooling up to support the technology more readily but, speaking to the BBC, Valve’s Brian Coomer was able to say exactly what it was they’ve been working on. At next week’s Steam Dev Days will show off their VR SDK, a set of tools aiming to produce a standard interface for VR headsets. Considering the relationship between Valve and Oculus VR, there’s a very good chance that the SDK’s already been integrated with the Oculus Rift. If the SDK is anything like Valve’s Steamworks SDK, developers should easily be able to integrate their game with support for VR headsets, leading to a dramatic increase in the number of games using the technology. The SDK is apparently developed around controllers in general and will be a vital part in providing hardware designers a standard interface with which to work the Steam Box. For anyone who’s tried to use a gamepad other than a 360 controller on their PC will know the hoops you have to jump through to get those things working. If developers can preload their kit with drivers that integrate with Steam it would save a good deal of fuss.